Brad Chenier recorded the second four-point performance of his OHL career, powering the North Bay Battalion to a 5-2 win in Mississauga. Battalion netminder Christian Propp made 42 saves while Chenier was in on four of the club’s five goals, picking up primary assists on two of them. Chenier picked up his first career shorthanded marker in the third period as the Troops got back to .500 on the campaign with an 11-11-1-1 record. The 19-year-old from Hanmer, Ont. now has 26 points (10-16–26) through 24 games this season. The former fourth round pick by the club in 2015 is a graduate of the Sudbury Minor Midget Wolves program. 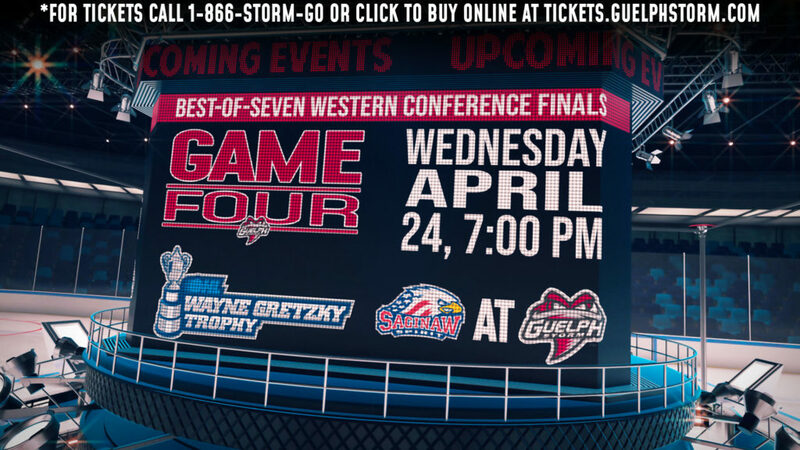 Philadelphia Flyers prospect Isaac Ratcliffe netted the overtime winner as the Guelph Storm skated past the visiting Soo Greyhounds 5-4. 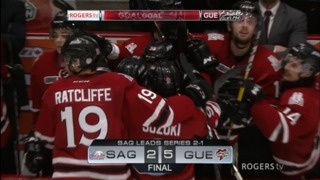 Ratcliffe’s second of the night came on an assist from defenceman Ryan Merkley, giving Ratcliffe 17 goals on the season along with 11 assists for 28 points over 23 contests. The 6-foot-6 winger from London, Ont. 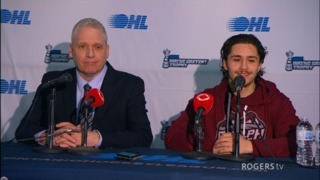 is in his fourth OHL season and recently represented the OHL in the CIBC Canada Russia Series. He was Philadelphia’s second round (35th overall) pick in 2017. Overage netminder Emanuel Vella made 34 saves for his first win of 2018-19, helping the Flint Firebirds get past visiting Windsor 3-1. 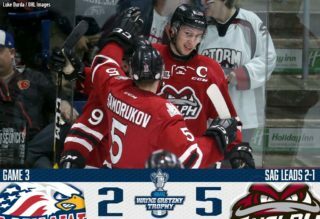 The ‘Birds snapped a five-game slide as Vella had offensive help from Jake Durham and Fedor Gordeev as Flint won despite being outshot 35-31. 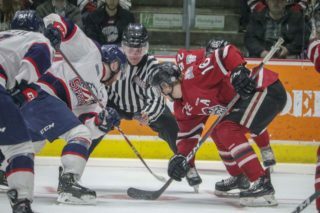 A 20-year-old native of Toronto, Ont., Vella has played parts of five OHL seasons between London, Owen Sound, Mississauga and Flint. He attended training camp with the New York Islanders this past September.